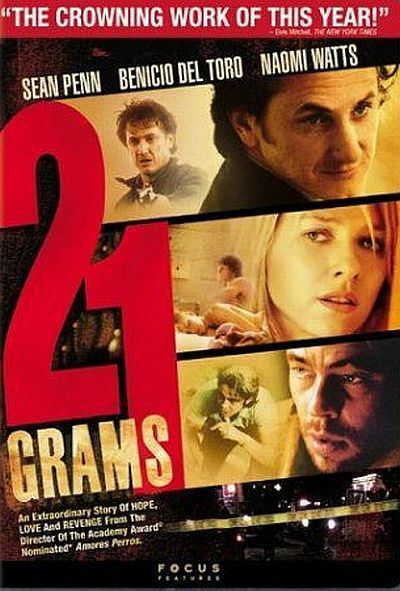 Alejandro Gonzalez Inarritu’s ambitious and thought-provoking film spans three continents and many characters whose lives are linked by an accident. Although this may sound like a film that will confuse many, it actually emerges as a haunting comment on the lack of communication between humans and how universal the feeling is. In Morocco, American tourists Richard and Susan are attempting to heal the wounds left by the death of their infant child. The loss has strained their relationship and affected both of them deeply. Whilst on a tour bus through th e extensive mountains, Susan is accidentally shot by two young goatherds. The injured Susan is taken to a nearby village for treatment, whilst waiting for help to arrive from the American Embassy. Intercut with this is the two boy’s reactions to the accident and what they will do next. Meanwhile, the couple’s Mexican nanny Amelia, takes their children across the border to Mexico to attend her son’s wedding. 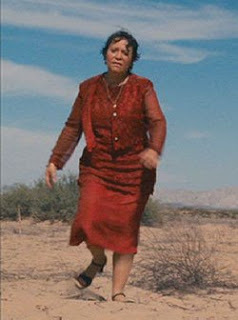 Whilst coming back with her nephew Santiago, they are questioned by border control and flee into the arid desert. Amelia then tries to help the children make it back home before the desert claims them. Rounding out the stories is the one of Cheiko, a deaf-mute Japanese girl who is reeling from her mother’s recent suicide and has become cold towards her father because of this. In a way to mask her pain, she becomes sexually uninhibited but s till can’t rid herself of the feeling of isolation. As told in Inarritu’s trademark non-linear narrative and written by Guillermo Arriaga , this sprawling character study is both melancholy and reflective in its examination of interlinked events. The acting in Babel adds to the story immensely. As the tourists struck by sudden tragedy whilst dealing with conflicting emotions , Brad Pitt and Cate Blanchett turn in strong, emotional performances. Gael García Bernal is also on typically good form here, I can’t think of a time when he isn’t great. But the real highlights come from Adriana Barraza and Rinko Kikuchi. Barraza creates a strong, loving character who will do anything to protect the children she has been entrusted with. Her face when trying to look for help in the unforgiving desert runs the whole gamut of emotions. Kikuchi as the isolated, troubled and melancholy Chieko is outstanding, conveying the character’s pain and inner conflict with the tiniest of nuances. 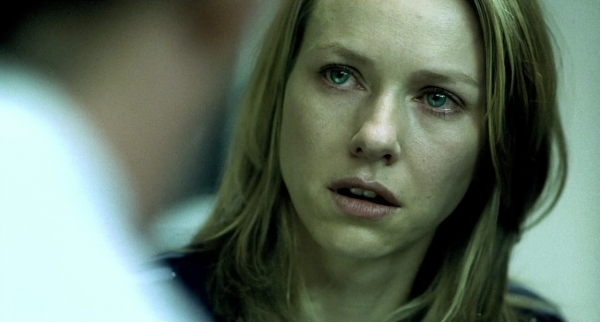 Her breakdown when she remembers her mother is heart-wrenching in its believability. The camerawork featured throughout is stunning, capturing the difference in cultures and landscapes that separate the many characters making up the story. The sparse but evocative music further shows the theme of communication as it often plays over scenes of confusion between the characters. 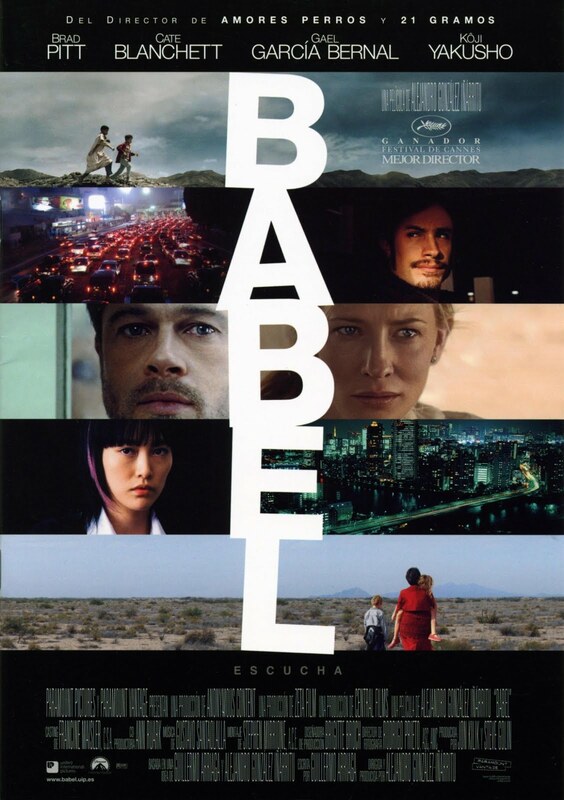 A powerful and emotionally draining film that will not be for everyone , Babel is still a multi-stranded and powerfully acted study of personal confusion and conflict and the far-reaching effects of it. 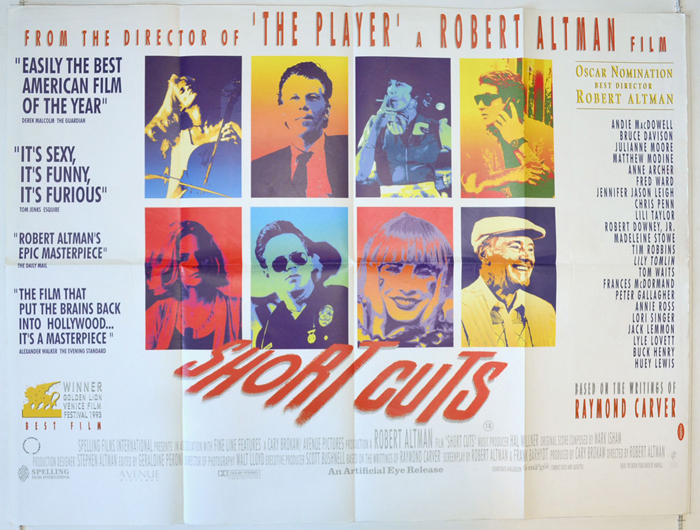 Based on several stories by Raymond Carver, Short Cuts is Robert Altman’s in tense, sprawling and minutely observed look into the eventful lives of 22 residents of L.A over a couple of days. Featuring a talented cast( as you may have guessed from the cast list above) that all contribute something to the story, Short Cuts works as an examination on the frailties of human behaviour, how people don’t realise how close we are to each other and how the smallest incident can have big consequences. Without giving too much away and because I would probably need a lot of pages to write about all the stories, here is the brief outline of some of the stories. Doreen, a waitress struggles with her alcoholic husband Earl. To add to this she accidentally runs over the young son of news anchor Howard Finnigan. The boy’s mother Ann panics while her son slips into a coma, and she is harassed by the local baker Andy, as she has forgotten to pick up the boy’s birthday cake. Zoe, a talented yet depressed cello player lives next door and has a strained relationship with her musical mother, Tess. Gene Shepard, a single-minded policeman is playing away with Betty Weathers. This incurs the wrath of her estranged husband Stormy, who finds an interesting way to claim back what belongs to him in the house. Claire Kane works as a clown, while her husband Stuart goes on a fishing trip with his friends. On the trip, the men discover the corpse of a young woman in the river and debate what to do with it. Marian, an artist and her doctor husband Ralph have the couple over for dinner, venting their marital frustrations after one too many drinks. And the stories just keep on coming, fleshing out an interesting mosaic like microcosm of lives running congruent with each other. Although the film runs for a long time, you probably won’t notice because of the intricate way the characters enter and leave each other’s lives. Altman, who often worked effectively with ensemble casts, further shows his craftsmanship with engaging us to the strange and unpredictable characters. Although the characters differ from each other, there is one thread that links many of them. The thread is hiding behind a facade; Marian paints to suppress her unhappiness, Zoe plays mournful music on her cello, Claire works as a clown to make money for herself and her husband. The film may not be to everyone’s taste, but one can’t help but marvel at the way Altman connects the many players of the cast and fashions a suburban tale of frustration, mental angst and dissatisfaction. An intimate character study of a diverse group of people, Short Cuts is excellent and recommended viewing for the art of interconnecting stories and focusing on the effects of our choices in life. 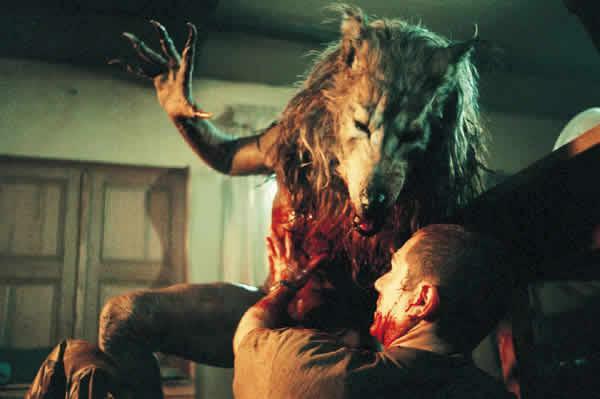 Dog Soldiers marked the debut of Neil Marshall, who would later go on to direct the claustrophobic The Descent. And what a debut it is. 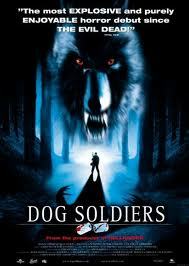 Brutal, darkly funny and all out action, Dog Soldiers is a werewolf horror film with a lot of bite(pardon the pun). A group of British Army soldiers are dropped in the Scottish Highlands for a routine training mission. The group is led by the wise-cracking sergeant and the no-nonsense Private Cooper. Some of the group, most notably the football loving Terry are bored and wanting to find out the result of the England v.s Germany game, but soon the ordinary training mission changes into something very unexpected. They come across the bloody remains of their opponents and the only survivor is Captain Ryan, who has history with Cooper. The Captain enigmatically hints at what caused the carnage but doesn’t reveal it. Not long after, the soldiers are attacked by unseen assailants, and begin a desperate defence in order to stay alive. They are picked up by Megan, a zoologist working in the area and taken to a nearby house that acts as a shelter against the attackers. Once inside, Megan reveals what they are fighting is much more dangerous than the soldiers imagined, they are werewolves. So begins a bloody, action-packed and bullet laden horror as the soldiers try to fight the lycanthropic threat and make it till the morning sun rises. Like with The Descent, Marshall creates believable characters whose relationships with each other seem genuine within the context of a horror fi lm. The film could easily function just as well as an action film, but the presence of the werewolves adds another dimension to the film and creates a darkly comic undercurrent as the soldiers try to outwit the bloodthirsty enemy. Nowhere is this more apparent than when the group realises their shortage of ammunition and resort to using old weapons in order to protect themselves. The character of Spoon who loves violence and is skilled with weapons, is also used to great effect when grappling with the lupine enemy. His line as the creature grabs him around the neck is humorous and sums up his character’s personality and never give up attitude. Because of things like this, the film succeeds with combining shocking amounts of gore and comedy horror whilst retaining an action packed atmosphere that barely pauses for breath once the first attack starts. 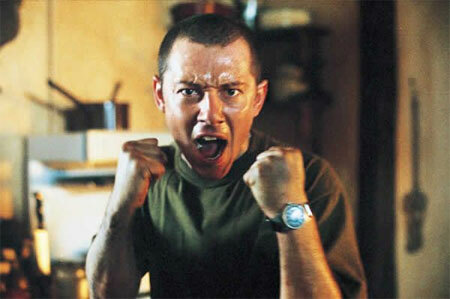 If by chance, Dog Soldiers has evaded your attention or you’re a fan of The Descent, then this film is advisable to you. If you love gory horror films sprinkled with dark humour and copious amounts of blood, this film is crucial.